The order is just West to East; not ranked! Vancouver is an incredibly beautiful city. It’s the city that people imagine when they think of Canada. Mountains, forests, lakes, and the ocean, all surrounding a large city. It’s also close to the famous ski resort, Whistler. Vancouver is laid back but sadly, a super expensive city to live in. Must Do: Bike along the Seawall of Stanley Park and walk the Capilano Suspension Bridge. The “New York of Canada”. It’s the biggest city in Canada, with lots to do. Many movies are filmed here when they need to portray a city like New York, Boston, or Chicago. Must Do: See the birds-eye view from the CN Tower (Bonus – walk on the glass floor or do the EdgeWalk) and see a comedy show at Second City. I have to include my hometown. For those of you who don’t know, Ottawa is the capital of Canada, so the area around Parliament is beautiful to wander. Must Do: Go skating along the Rideau Canal (winter) or watch the Parliament Sound and Light Show (summer). For European flare, Montreal is a great place to visit. It’s a bustling French city (and only one and a half hours away from Ottawa if you want to knock off two birds with one stone). Must Do: Wander Old Montreal, order Poutine (the classic French Canadian dish), and see a comedy show at Just for Laughs. 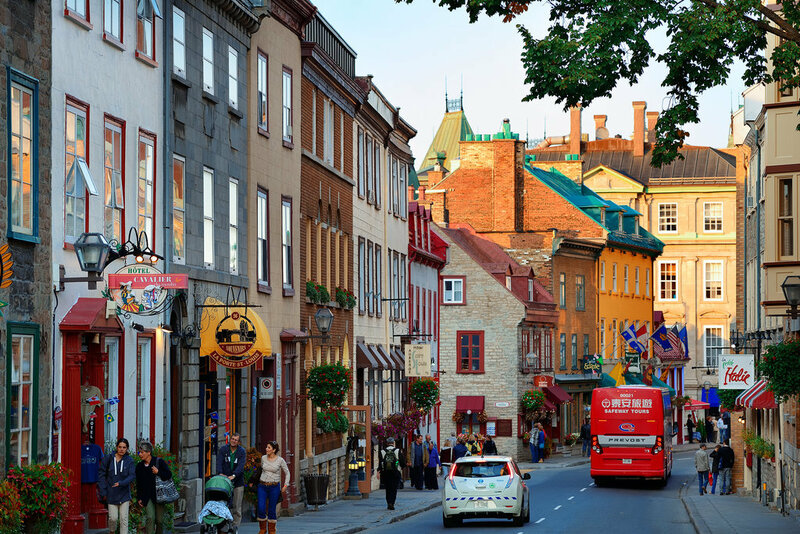 Quebec City is lesser known but even more of a little escape to Europe. It’s also near some great ski hills: Mont Saint Anne and Le Massif. Must Do: The ice toboggan slide at Chateau Frontenac (winter). You have to visit the east coast of Canada at lease once and Halifax is a great place to start. I really recommend going to university in this city. Infact, I wrote a whole post about what makes Halifax so great – see all the reasons why here. Must Do: Go on a boat cruise beyond the harbour and visit Peggy’s Cove. Last summer my friends and I took a road trip to Charlottetown to see The Killers perform at the Big Red Music Festival (don’t get me started on how amazing The Killers were). And I was surprised by how much I enjoyed the small city. It was one of my favourite trips. Must Do: Harbour Hippo tour and eat seafood along the water. 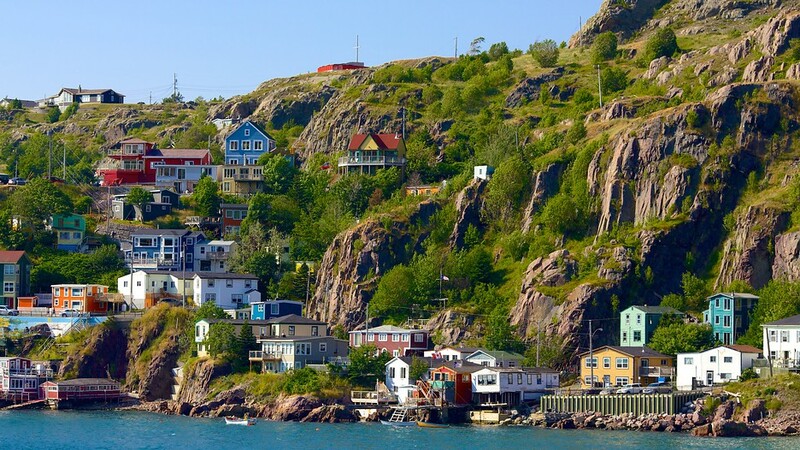 St. John’s is listed as an honourable mention because I’ve never been, but I’d love to go. I’ve heard it’s like Canada’s own Ireland. Must Do: participate in a pub-crawl along George Street. Have you ever been to Canada? What’s your favourite place to visit or where would you want to go? Let me know in the comments. Great suggestions! I’ve been to Toronto, Ottawa, Montreal and Quebec City but the East Coast is still on my list. Thanks for featuring Toronto. Love my town! I just texted my brother asking him about the flashing green lights, since he lives there … He says “It means it’s a pedestrian controlled intersection. Doesn’t mean you can turn left like in Ontario.” Lol I wouldn’t have known either! Ha! Thank you!!!! Well it’s a damn miracle that we didn’t run over anyone then. haha! Fantastic article! I’ve been trying to plan a visit to Canada for years now and Montreal looks like so much fun. Calgary, Alberta is also a beautiful city to visit because of its proximity to Banff and Lake Louise. I recently moved back to Toronto and I’m already missing the mountains. Undoubtedly, the arts, culture and entertainment scene here is the best in the country. Great to know :) I had Calgary in mind when writing this post, since it’s such a big city, but I’ve only crossed through to get to Banff or Fernie. So I never got a feel for the city. I also must visit your hometown, I’m hoping to visit in the winter months for some river skating. I have the same problem; I travel a lot but I neglect Canada, which is also my home country. Glad to see Quebec City is on your list (my town). Usually people are only interested in Montreal, but Quebec has so many more cities to offer!